Maine is a large, photogenic state with mountains, farms and forests embellished with a beautiful rocky coastline. The state is populated with a wide diversity of people from native “Mainers” to new residents to visitors from all over. Interpreters work in a variety of settings including, but not limited to, K-12 and post-secondary education, medical, legal, mental health, state and federal agencies and performing arts. Much of the interpreting work clusters around the population centers of the greater Portland area, Augusta, Lewiston/Auburn, and Bangor. However opportunities exist all over the state, particularly in educational settings. Maine is also a champion of Deaf interpreter services. The geography and areas of population density in the state necessitate that freelance interpreters may drive a considerable distance to their assignments. They may also find local assignments depending on where they’re bassed. Consequently, it is standard business practice for interpreters to charge their regular hourly rate on a portal to portal basis, so that their extensive travel time is compensated. Freelance interpreters can opt to work through direct referrals or through agencies. Anyone who receives compensation for interpreting in Maine must meet state licensing requirements. Be sure to look at our links page for more resources. Interpreting is essentially a tri-step process of receiving a message in one language, grasping its meaning and intent, and delivering it into another language. This is a simple definition of a complex process which requires a high degree of linguistic, cognitive, and technical skills. Rather than merely translating words or signs, a professional interpreter seeks to achieve equivalence by conveying the spirit and intent of the message. A professional signed language interpreter needs to be fluent in both American Sign Language (ASL) and English so as to grasp and formulate thoughts in both languages. Beyond linguistic fluency, additional training is required in the interpreting skills that are critical to successful interpretation. Interpreters also need to be able to adapt to a variety of communication styles, modalities, and languages ranging from ASL to a more English-influenced form of signing. Some interpreters receive additional training in specialized skills such as signed or oral transliteration or interpreting for individuals who are both Deaf and blind. All professional interpreters must abide by the RID Code of Professional Conduct which sets the profession’s ethical standards. Federal and state laws mandate that private and public organizations, businesses and other entities are responsible for providing reasonable accommodations for Deaf and disabled persons to have equal access to services and programs. Hospitals, public and private employers, school districts, private businesses, public facilities, courts, among many others are examples of entities responsible for the cost of such reasonable accommodations. In Maine there are several referral agencies which will process requests for interpreting services. These are also the agencies to contact if you would like to interpret in the state of Maine. All agencies are listed in the Division of Deafness Resource Guide. How do I go about training to become an interpreter? Prior to entering an interpreter training program, one should develop fluency in both ASL and English. Individuals who don’t have ASL as a first language can take anywhere from two to ten years to develop fluency, depending on their training, extent of exposure to ASL and Deaf Culture, and experience. Typically, interpreting degree candidates have passed two years of coursework in ASL prior to being accepted into the interpreting skills courses. Most graduates of interpreter training programs are ready for entry level work under the guidance of a mentor. Where can I get training to become an interpreter? There are a number of interpreter training programs in New England. These offer courses and degrees geared towards preparing the interpreter for professional interpreting and National Certification. The interpreter training program at the University of Southern Maine in Portland offers a BA degree in Linguistics, with a track in ASL/English Interpreting. What are the licensing requirements to work in Maine? 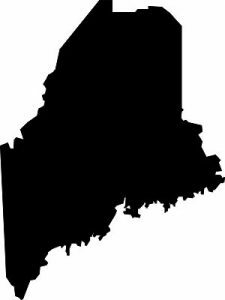 All interpreters who work in the state of Maine, whether certified or pre-certified, must be licensed with the state of Maine. Information on how to become licensed is available from the Office of Licensing and Registration. The Registry of Interpreters for the Deaf (RID) has developed a certification system which is a nationally recognized standard of minimum competence. The RID offers both a generalist certificate as well as specialist certificates in Deaf interpreting, legal interpreting, and oral transliteration. The RID site also has information about its partnership with the Educational Interpreter Performance Assessment, which is a certification system offered to interpreters working in K-12 settings.